Is a Master Key System Installation Right For You? When it comes to commercial locksmith service and the need for business security, everything revolves around keys. What numbers of keys do we need? How do we distribute and manage the keys? Should staffs be granted the permission to access all areas of the building? What are the risks or threats to our security needs? These are some nagging but important questions that confront corporations, business owners, estate managers, landlords, and the like when considering and assessing options relating to their keying and security arrangement. This is where Master keys come into play. 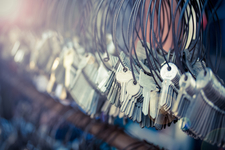 By Master Key, we mean an order of keys and a set of cylinders or locks that enable different individuals or groups of key-holders to have access to every part or some specific areas of a building. It is a restricted lock system designed to be opened only by a specific individual key or few individuals’ keys, and which also can be opened using a Master Key. This article seeks to inform you regarding the benefit of using a master key. A restricted or master key system uses unique security key blanks specifically designed only to be obtained or copied from the locksmith company which originally designed the master key, and even that can only be possible if the original owner or management authorizes it. The blanks of master keys are patented, which means key manufacturers like Chiko locksmiths are barred from reproducing copies of that design. It eliminates unauthorized key duplicates as accurate keeping and maintenance of keys becomes easier and secure. Why Choose Chikolocksmith for your master key installation services? Securing the services of a commercial locksmith is critical in securing your business and private properties. Chikolocksmith is one of the best and top rated Master Key System’s repairs and installation service providers in Maryland and Washington DC areas. Apart from restriction installation, we also provide commercial services like a safe lock which can be custom designed to suit your business security taste and preference in protecting your most valuables. Our team of technicians are licensed, insured, and bonded, so if you incidentally broke off a key inside a file cabinet, you can trust our integrity and expertise to give you the best services by making use of a key extractor to retrieve the damaged key part, and if necessary, provide file cabinet replacement keys. 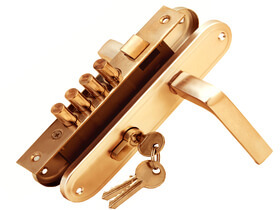 With Chikolocksmiths, your commercial locksmith needs would be perfectly satisfied.